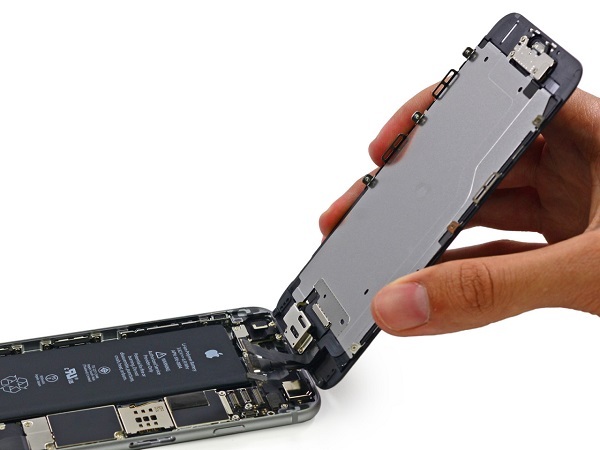 Welcome to the 11th part in our series of troubleshooting articles dedicated to the Apple iPhone 6. This model is one of the bestselling phones of the company owing to the fact that it is one of the first two models (the other being the iPhone 6 Plus) to breach the 4 inch display size. Then there’s also the upgraded hardware specs and the new iOS 8 software that it is running on. Although this is one of the top smartphone models out in the market today it doesn’t mean that it is perfect. It also has its fair share of issues which owners are experiencing. While some issues are quite easy to resolve that a restart is all that is needed others require some troubleshooting to be done. In this latest installment of the series we will tackle some of the latest issues our readers are facing with the device. Problem: I have noticed very erratic touch behavior on my screen, it’s as if I have a possessed phone such as taps that I did not make, or swipes (up/down/left/right) as well. The spotlight randomly swipes down, or the Notification Center. Moreover, random tappings affect games and apps such as whatsapp, where it goes to the previous page due to a top left page tap, and then again on the edit button, then starts copying and pasting random text. This is quite frustrating. The issue with this is that it only happens when the phone is charging. It only started a few days ago. I have had this phone for 6 months with absolutely no issues until this week. I have tried different lightning cables but the problem persists. I have also changed the charging block to make sure it wasn’t that. I can back up the phone and reinstall OS if need be but I would rather not do that if I don’t have to. I have done some simple resets but that hasn’t helped. I have the latest version (8.3). Any help would be appreciated. Thank You. Solution: Does your phone have a screen protector installed or a case? If it has then try removing it first then check if the issue still occurs. Clean the screen with a soft cloth in case the issue is caused by a dirty display. If the issue persists then do a restart followed by a reset if the restart fails. Your last option is to restore your phone and set it up as a new device to eliminate any software related causes. If the issue still persists then you should have your phone checked at an Apple Store. Solution: Make sure that the volume is turned up when a video file is playing. When the video is playing press on the volume up key, make sure that you see the volume indicator increasing on the display. Check the speaker of your phone and make sure there is nothing blocking it such as lint or dirt. If you spot any then a toothpick can be used to clean it. Sometimes your phone may detect a headset attached to the audio port even if none is present. This may also cause the videos not to have any sound. If this is the case then try plugging and unplugging a headset a couple of times on your phone. You should also clean the audio port using a toothpick or compressed air. If all else fails then restart your phone followed by a reset if the restart does not work. Problem: Hello, I got a problem it’s iPhone 6 53 error. I replace my lcd then my Touch ID won’t work . I do the reset and error 53 what can I do? Solution: An error 53 is usually associated with a Touch ID related issue. This occurs when you try to replace the home button of the phone or when the screen is replaced. During the screen replacement process the fingerprint cable attached at the LCD shield may be damaged causing this error to occur. Your best option is to bring your phone to an authorized service center and have the unit checked again. Problem: Hello, I recently purchased an iPhone 6, and as of today it stopped making phone calls. I can receive phone calls and text messages but I cannot make an outgoing call. So, I was wondering what you suggest I do? Solution: The first thing to do is to contact your carrier and inquire if there are any network issues in your area or if there are any account related issues preventing you from making an outgoing call. If the issue is not with the network or your account then proceed with the troubleshooting steps listed below. Check your phone settings: Check your Do Not Disturb settings: Tap Settings > Do Not Disturb. Check for any blocked phone numbers: Tap Settings > Phone > Blocked. See if Call Forwarding is turned on: Tap Settings > Phone > Call Forwarding. Ensure that your software is up to date. Check for a carrier settings update. Check for an iOS software update. If the iPhone has a SIM card, reseat the SIM card. Reset the network settings: Tap Settings > General > Reset > Reset Network Settings. Attempt to isolate to one network band: If you’re having the issue on LTE, disable LTE, if possible, and try again. If you’re having the issue on 3G/4G, disable 3G/4G, if possible, and try again. If the above steps fail to resolve the issue then restore your phone as new. If the problem persists then bring your phone to an Apple Store for further checking. Problem: Hello, I’ve just started having troubles with my iphone 6. I make numerous conference calls using my speakerphone everyday. My phone just started doing these weird things. When I am on a call and I receive a text it disconnects the speakerphone and interrupts the call. It also disengages the screen until I reset it. This is killing my business. Any advise would be super. I don’t have blue tooth on. I just bought the phone maybe 4-5 weeks ago and its been working fine. Thanks. Solution: Try to update your phone software to the latest version. This may help resolve the issue. If your phone is running on the latest software already then do a restart followed by a reset if the restart fails. If the issue persists then restore your phone as a new device. Problem: Sorry for the ‘iPhone in the toilet’ question however i’m not sure what to do. I have done the requisite, rice in the cupboard trick so will see what happens, but just wanted to know what my options are if the phone is dead. I purchased the phone at the end of March – bought outright and unlocked from Apple. If the phone doesn’t work, should I take it into my local shop and explain what happened and see what they suggest? Will I just have to buy a brand new one or are there other options available to me? Many thanks. Solution: A water damaged iPhone is not covered by the warranty. According to the Apple website “your iPhone might be eligible for out-of-warranty service. For example, liquid damage isn’t covered by warranty but might be eligible for out-of-warranty service. Some damage isn’t eligible at all, for example if your device has been broken into multiple pieces.” For the iPhone 6 the out of warranty service fee is $299. Solution: If Safari is slow after the software update then follow the troubleshooting steps listed below. Restart the app: Close the app and open it again. Restart your device: Press and hold the Sleep/Wake button until the red slider appears. Drag the slider to turn your device completely off. After the device turns off, press and hold the Sleep/Wake button again until you see the Apple logo. Problem: I recently upgraded from a 4s to a 6 so a lot of things are new to me. But why is, “Motion Calibration” running 24/7 in Location Services? Won’t that nuke my battery? Solution: Motion calibration is a feature in the new processor used by the phone to gather movement metrics. Data such as how many steps you have walked or stairs you climbed are being recorded. It does not make much of an impact on battery life. If however you are not using any health related apps then you can turn this feature off.